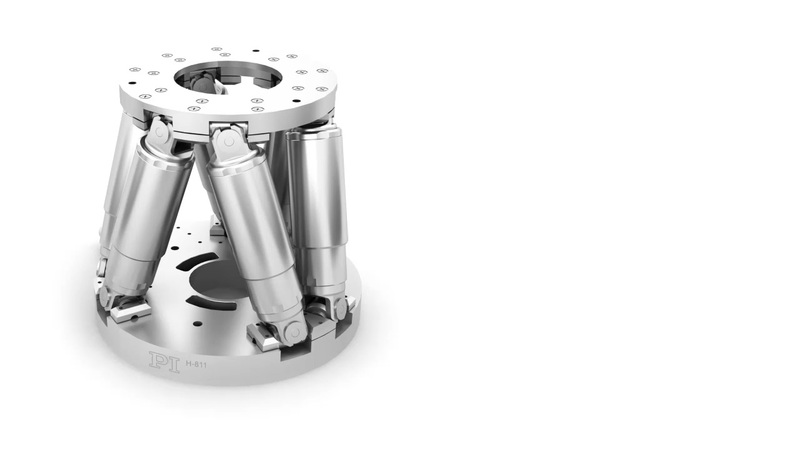 All actuators act on the same platform. The principle of parallel kinematics allows a very compact design with clearly defined travel ranges. 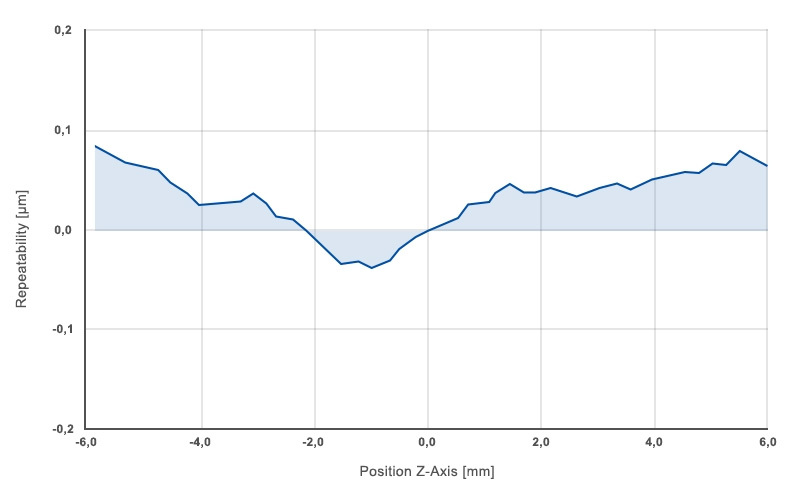 Hexapods position in six axes with high dynamics and high precision. Operation is quite simple, and the system performance is superior. Six drives create motion over three linear axes and three rotational axes. 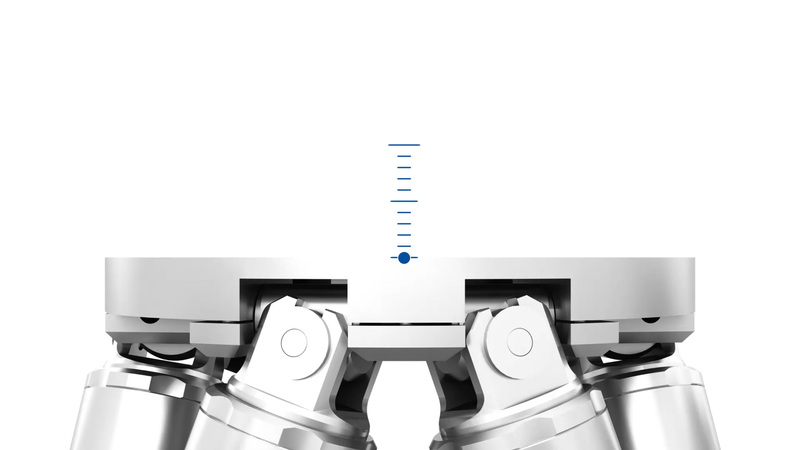 Changes in drive lengths or changes to the joint position provide precise shifting of the load. The design is adapted to the application, giving the application, in addition to its brilliant technology, a great look too! 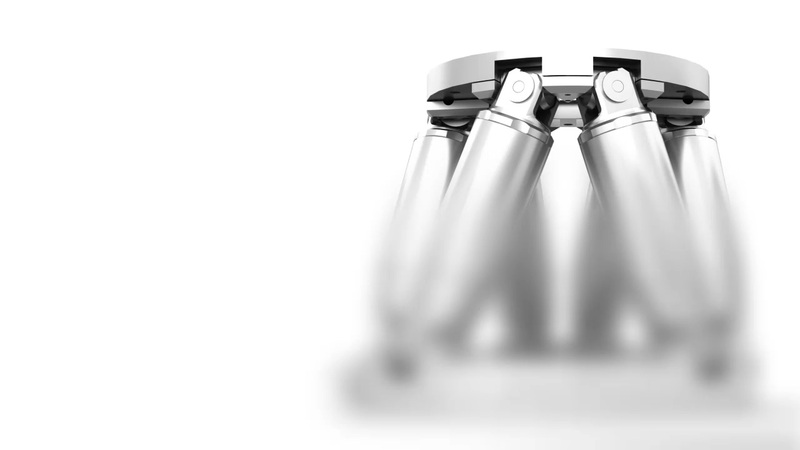 SpaceFAB’s are alternative parallel-kinematic setups with constant strut lengths. The six degrees of freedom are achieved by moving a passive strut in two or more axes: In SpaceFAB’s, an XY arrangement of linear stages moves the individual struts. Easy to use, users are friends! Connection and operation are simple. The Hexapod and the controller are fully configured ex works. All connection cables, supply cables and network cables necessary for operation are included. Software and DLLs for Windows and Linux are included in the package. Graphical interfaces ensure easy access. So, what about communication? That’s as simple as can be! How to drive six axes simply? The user commands the linear displacement and rotation of the platform with Cartesian coordinates. A special digital controller calculates the displacement of the individual struts and controls them in real time. That’s so simple! All axes are the same for Hexapods: None is carried or dragged by the next. All axes and all degrees of freedom achieve the same dynamics. This is important for motions that precisely follow a pre-calculated path. By the way: The drive technology is flexible and can be chosen in almost any desired combination and thus achieves even better dynamics! In case of serially stacked systems, the lower axes not only move the mass of the payload but also the mass of all other following axes. All axes achieve the same performance, in dynamics and in precision. 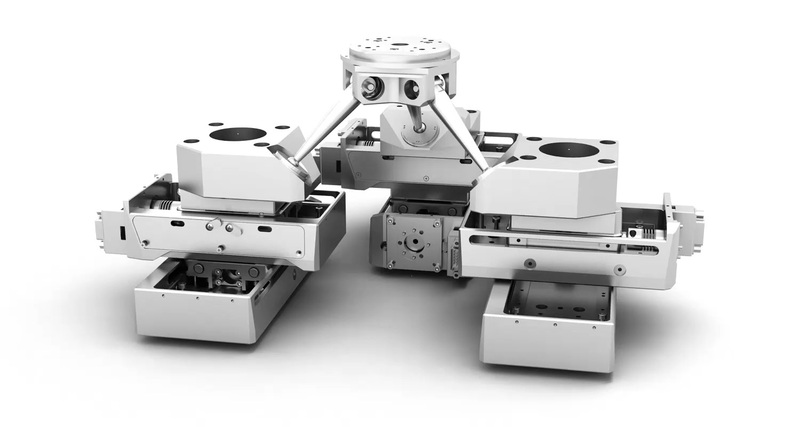 Position errors of individual axes add up for stacked axes – but not so for the Hexapod. Once on target, the system does not reverberate, not even in the case of fast positioning processes. And no cables need to be dragged along either! Pivot point – freely selectable in space! 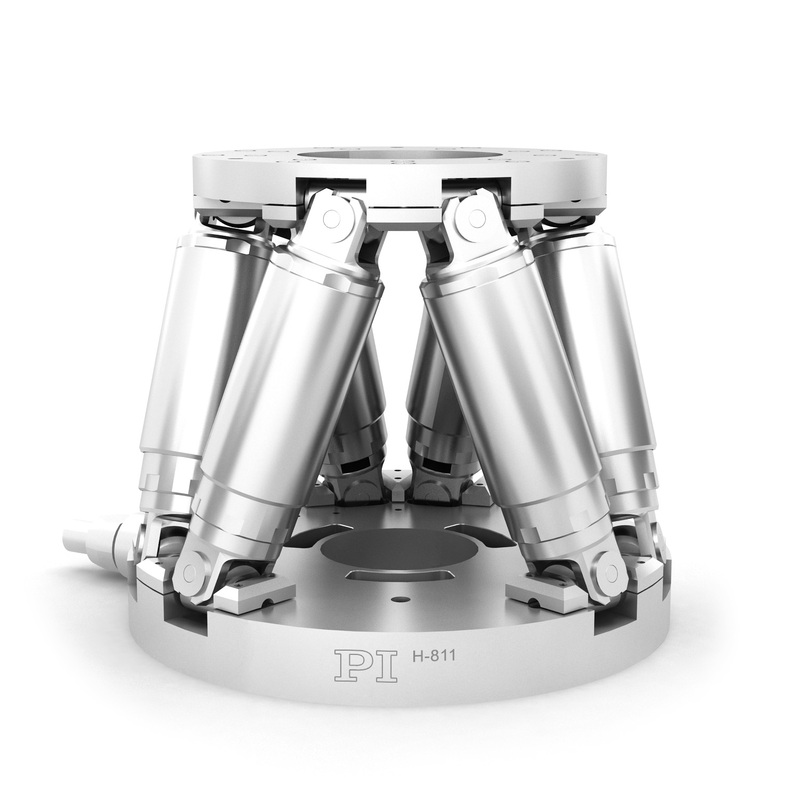 The software makes this very simple: Any point in space can be chosen as the pivot point around which the Hexapod rotates and tilts. Freely defined, easy to command, solidly anchored in space or to the platform in case of linear displacement. The choice is yours! Simply fill out the contact form and send your enquiry to PI. 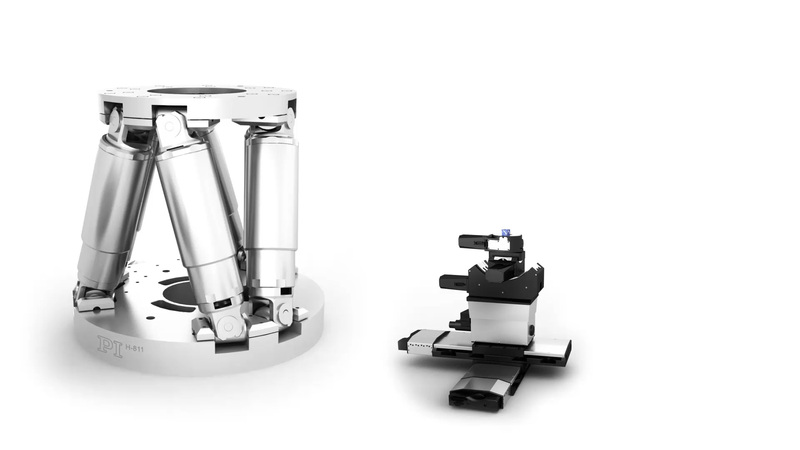 6-axis micro- and nanopositioning systems in various versions with parallel-kinematic design for manufacturing electronics, tool control or medical engineering. 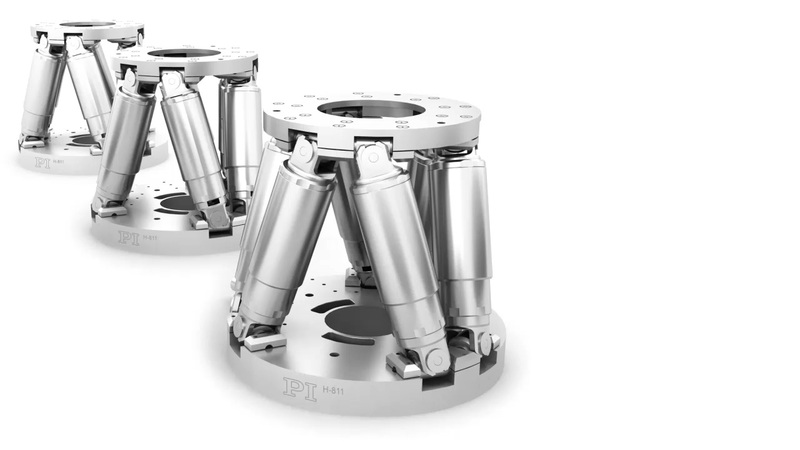 In parallel-kinematic multi-axis systems, all actuators act on a common platform. This means that all axes can be designed with identical dynamic properties, thus reducing the moved mass considerably.